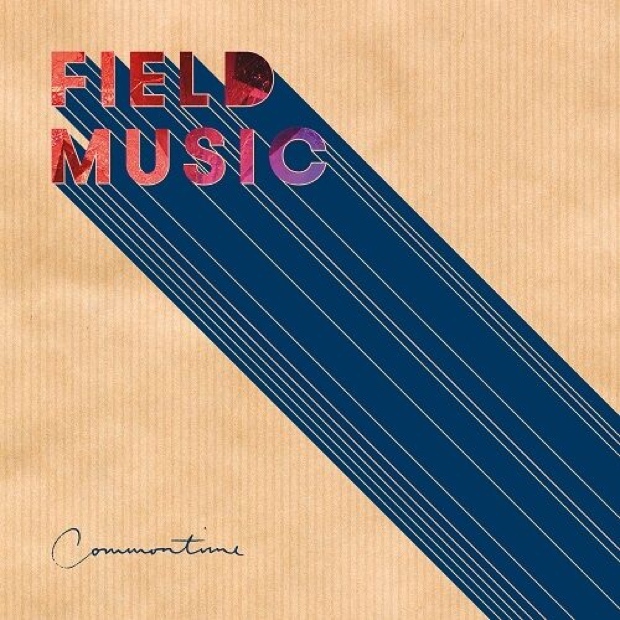 Field Music are back with their fifth album ‘Commontime’. The Sunderland born brothers, David and Peter Brewis, although rarely heard in mainstream media, have collaborated with such names as Maximo Park and The Futureheads. Their new album is further proof that they could, and should, be seen and heard more frequently in popular music culture. The album opens with “The Noisy Days are Over’, a loud and energetic track. The first sound to be heard is bold and a bit startling, fitting with the overall message of the song which is to wake up to reality. The overall track is very catchy, with lots of percussion, guitar and a touch of funk. ‘Disappointed’ is another track which could easily become popular. The mellow tones blend with the smooth sounds of the guitar, giving this song a blues-rock feeling. The vocals in this track are divine, giving stunning vocal harmonies which turn this into a stand out sound for Field Music. ’I’m Glad’ has a promising beginning, with a good beat and solid guitar solo; it is clear to see that Field Music have exceptional musical writing abilities. The song, however, is let down by lyrics, which don’t seem to gel with the melody of the music. It is a less polished track, and, in my opinion, seems unfinished and lets the album down a little. Another notable track is ‘It’s a Good Thing’, which is an alternative-rock style song which is brought to life by the stunning vocals. The heavy beat is a superb contrast to the mellow violin, and adds depth to the song. With simplistic, memorable lyrics and beautiful vocal harmonies, this could be a popular track for Field Music. With a drum-heavy alternative sound, ‘Commontime’ reaches a wide audience. Field Music’s talent stretches to a plethora of genres, with rock, funk and folk being just a few of the sounds touched upon in this album. Although they are an acquired taste, with as many repelled by their music as drawn to it, there are a number of tracks to this album that could be enjoyed by everyone, no matter their musical preference. It is clear to see that a lot of thought went into this album, it has a very deliberate feel, and the musical talent shines through. It is, however, let down by a few anomalies, making this album seem like a diamond in the rough, rather than the finished work of art it should be. Overall, an unexpected gem from these North East lads. Field Music are touring in the UK until 20th March.